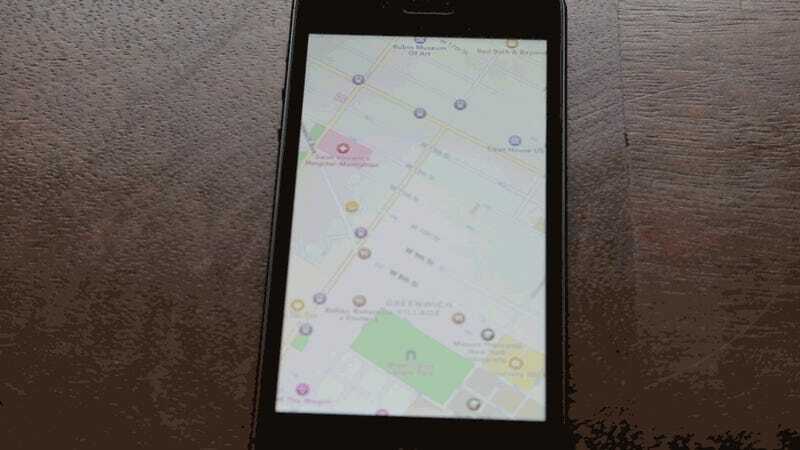 It had a rough start, but Apple Maps has come a long way from what it was at launch. And the push isn't over. Apple just picked up a little startup called "Locationary" that specializes in hyperlocal results; you can bet that'll trickle down into Apple Maps soon. Locationary's CEO Grant Ritchie wrote a post for TechCrunch last year about how exactly Apple could go about solving its map problems, including solutions like licensing location data from commercial providers. Or, you know, acquiring a startup that specializes in that. And by putting a crowdsourcing tool right into Maps, Apple would instantly increase Locationary's pool of potential contributors by billions. However good Locationary was before, it stands to be exponentially better with a bigger crowd to source. And while it would definitely be nice for us end-users to have better Maps data, the move probably isn't just about improving navigation quality; location data is super important for effective, specific ads.